Good Morning! 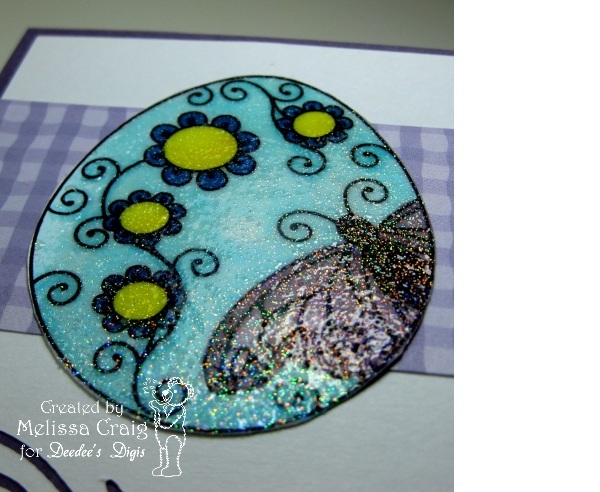 This post is a hard one for me to do - I can't believe that 6 months has just flown by and this is my entry for Sweet n Sassy Stamps. I have really enjoyed my time being a Diva and I thank Korin (over and over) for having given me the opportunity to be here. So for my last entry, my card features the sweet new image, Abby's Birdhouse and a sentiment from One of a Kind. I hope you like it. 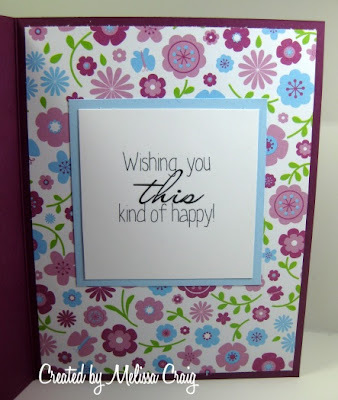 I did use a lovely sketch from Card Patterns for the layout and some great paper from the Latte Matstack from DCWV. It's a sweet and simple card that, I think, delivers a message with impact. This week's challenge is sponsored by Digi Doodle Shop and I've used their Swans image. This reminds me of a beautiful cross-stitch picture that my sister Karin made for my sister Theresa. This hangs in my sister's bedroom and it's gorgeous. So I even went with Theresa's favorite colors, pink and green. I love the blue, too, ties in the water they're swimming in. 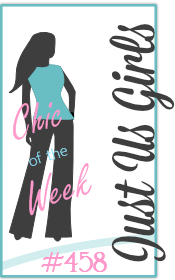 I hope to have you join us this week! Have a great day!! Good Morning everyone! I hope you all had a great weekend and joyful Easter. Our day was spent taking it easy and enjoying family and friends, the Wii and the swimming pool. It's time for the Happy Monday challenge and this week's theme is Fellowship: Reach out to the elderly. So I created this card that I was hoping to achieve vintage but with a modern twist. I used Tea-riffic with this fun new matstack that I treated myself to. 40% off at JoAnn's, how could I say no? 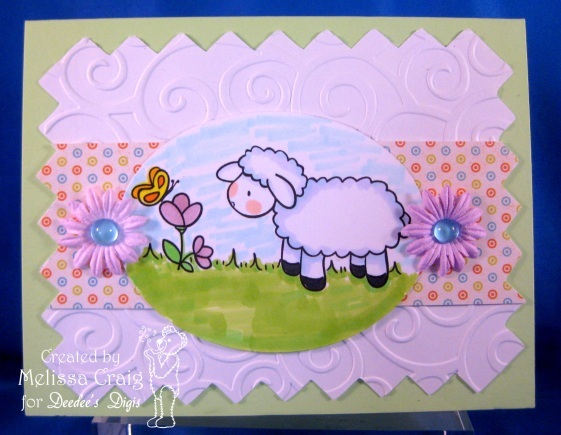 LOL I also used a great new punch that I treated myself, to, this is a lattice border punch from EK Success, so pretty! The layout is this week's sketch from The Sweet Stop. Now head on over to the Happy Monday Challenge blog to join us. Have a great week! Good Morning! It's Tuesday and I have I got a fun and challenging challenge for you over at Tuesday Morning Sketches. We're being sponsored by Chi Chi Memories this week, super sweet images. OK, so the challenge is Surprise Pop Cards - this is a fun, interactive card that isn't terribly difficult, but a little challenging. Here's my card featuring an adorable freebie birdhouse image. Fun, right! I think you should head on over to TMS and join us. You'll find the tutorial linked there. Good Morning! I hope everyone had a great weekend and is ready to start a new week. Weeks are a little easier to start when there's a fun challenge to play along with. 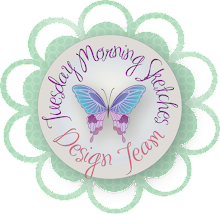 This week's challenge at Happy Monday is a sketch and we are also being sponsored by a very sweet young lady, the owner of K n K Designs. She was so sweet to send us images to play along with. I did have to turn the sketch to accomodate the image, but this just the sweetest image. So Spring-y! I had a lot of fun creating this card. 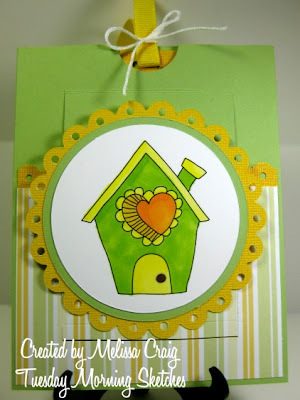 I can't wait to see what you do the sketch, now head on over to the Happy Monday challenge blog to play along. Have a great day! Good Morning! It's Sunday and my line up for today is laundry and stamping. Hollyanne's slumber party was a great success. No pool and no Taylor Swift, but there was a whole lotta dancing. One of the girls brought a dance game for the Wii, they played that for hours. So I have a card to share with you that I made to give to a girl who's last day at work was Friday. She's moving to the Mid-West so I this image was perfect for her new adventure. 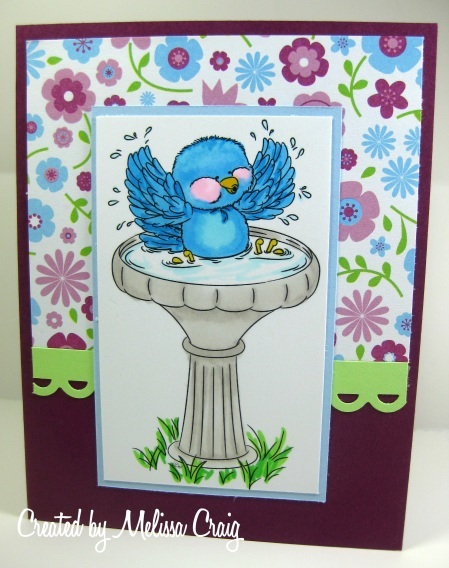 The image is called Birdbath Joy from Doodle Pantry. I love Laurie's images, she's sponsored TMS a couple of times and I really enjoy having her around. Here's the inside view, I don't often decorate the inside but this paper was sweet, I needed to use more of it. Thank you for stopping by! I hope the rest of your weekend is a good one. 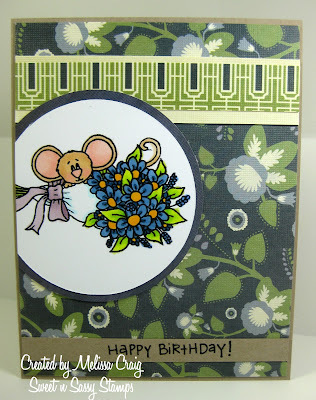 I have a card to share with you today that I think turned out really sweet. I did make this for a design team call. Please keep your fingers crossed for me. 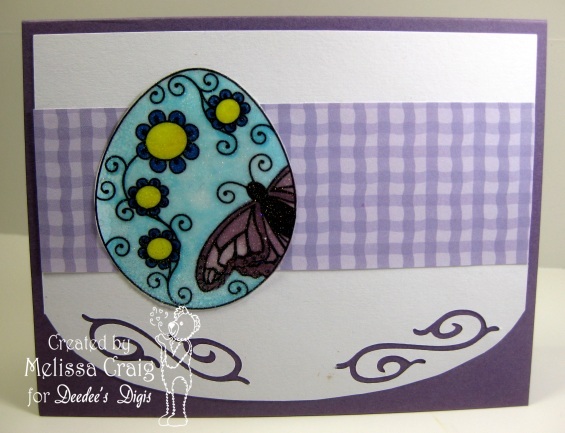 The layout was inspired by a fabulous sketch at My Time Made Easy. 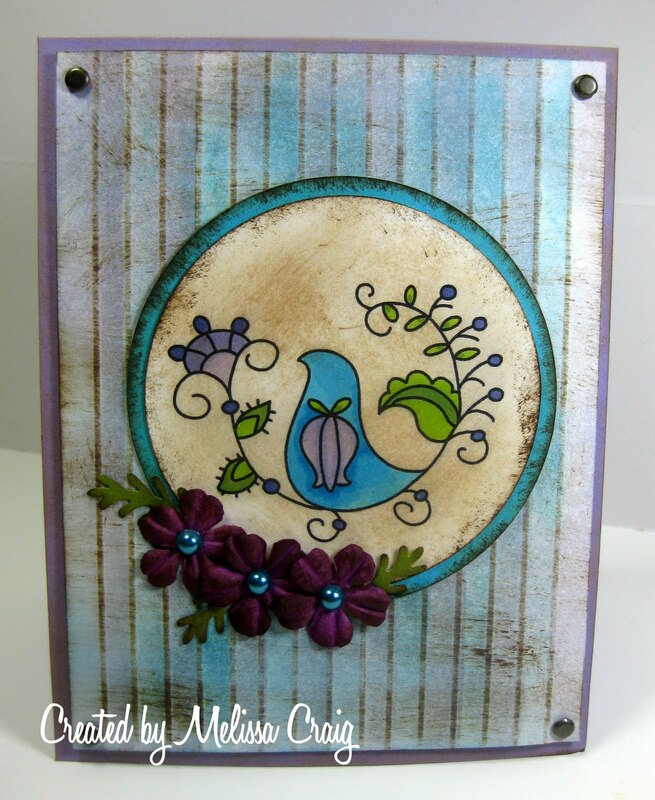 I love Lauren Meader's little store! It's really bright and sunny in my room at that moment, so its really hard to tell how well this picture came out. I hope the photo is doing this card justice. I want it to to be as near to perfect as humanly possible. Anyway, if I don't make the design team, it's OK - I tried. I chickened out last time iCopic had a DT call. Well, wish me luck! And thank you so much for stopping by. Your visits are always appreciated. Good Morning and Happy Friday!! I hope you had a really great week and have fun plans for this weekend. I'm bracing myself for a slumber party. Hollyanne turned 13 last week so she's having some girlfriends over this weekend to celebrate. I am featuring a new release that is available beginning today. This is Cookie's Gift. 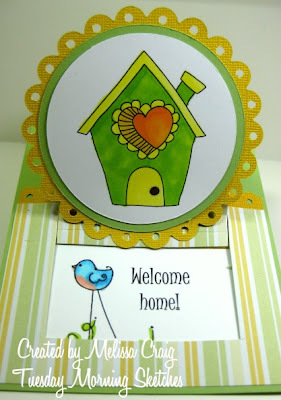 I added a sentiment from a Papertrey Ink set and the layout is inspired by this week's sketch challenge at Sweet Sketch Wednesday. I also treated myself (bad me!) to a few new Copics. Love these colors I just got!! 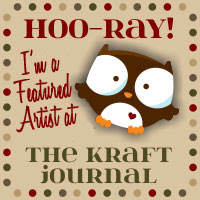 Thank you for stopping at my blog, I hope you enjoy the rest of the hop and join in the fun! Really? A card just for the fun of it?? Good Morning! How are you? I'm doing pretty well, I guess. It's Wednesday so the week is half way over. That's a good thing, right? So I have a card to share with you and guess what! I actually made this one (sort of ) just for fun. My monthly card traders group challenge this month is Distressed Stripes. Gina K has a great video for this technique, you can find that here. I guess I took the whole idea of distressed over the top but I am happy with the results. I hope you like my card. Thank you for stopping by. Isn't that owl cute? I love his big eyes. This is Owl Branch set that features 3 sweet owls and 2 styles of branches. As you an see in my supplies list, I did pull out my Cricut. 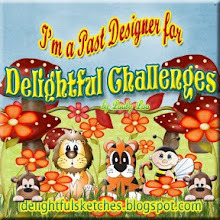 I am really saddened by the recent news I read over at my friend, Penny Duncan's blog. She is selling off her Cricut Expressions because of Provo Craft. Apparently Provo Craft recently sued the family that created Make The Cut, software that works with the Cricut. Well, I guess it doesn't work with it any more. And now Provo Craft is going after the creator's of Sure Cuts A Lot (the software I got last year for Christmas). The ONLY reason I saved and sold craft items to buy an Expression was so I could get SCAL. 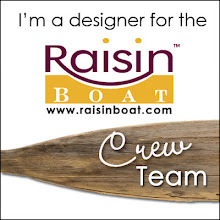 Look, I can't make a difference by myself, but maybe if all of us Cricut owners and SCAL owners ban together we can tell Provo Craft that we're not happy! It's not like they aren't getting paid. They got their money with us buying their machines and all the consumables and yes, they still sell cartridges. Really!? Do they really think that SCAL or MTC will hurt their business all that bad? OK - enough of my soapbox... just head on over to TMS and join us for the fun!! Good Morning! Quick post today. 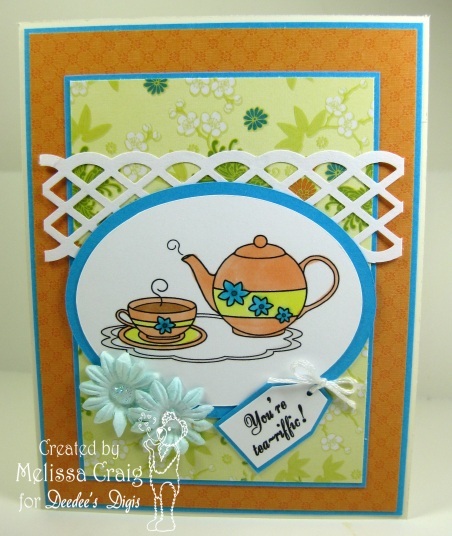 Let me just say that you need to head on over to Happy Monday Challenge to join in the fun. This week's challenge is an Easter card. Does this picture help you see it? Good Morning! We're now on the downhill side of this week. Whoo-hoo!! Yesterday was Hollyanne's birthday, so this weekend we'll be having a few girls here for a slumber party. I have another card to share with you that features one the newest digis from Sweet n Sassy Stamps. These Tulips are so gorgeous, I was really worried that I wouldn't be able to color them well enough to do the image justice. I think they turned out really pretty. 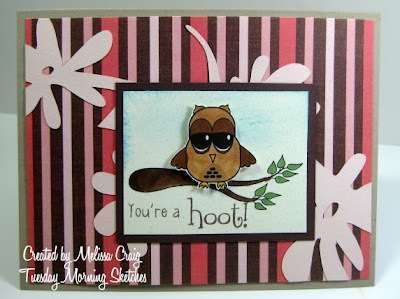 I did get some inspiration from Andrea's Stampin Moments Simply Saturday post (last week). 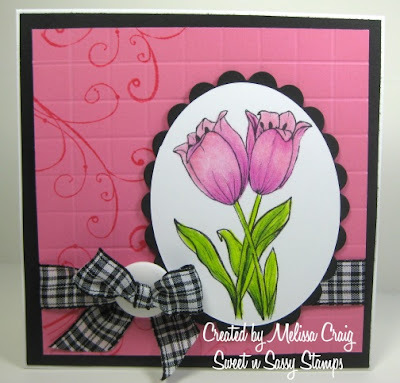 She did this great embossed grid and I like that look. Combine it with another technique or two, this could look like a real tiled wall. I hope you like my card - I am pretty pleased with it. Have a happy Thursday and thank you so much for stopping by. Good Morning! I hope your week is off to a great start. We're already half way through it. 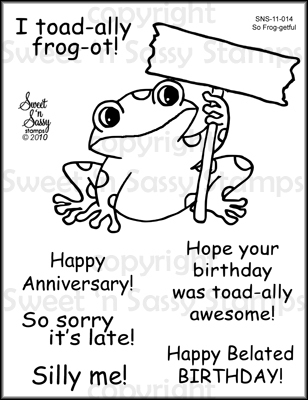 Today I am sharing my Tuesday Morning Sketches card that was preempted by Korin's Surprise birthday party. I hope you joined us yesterday! This card features a fun image by Deedee called Flip Flops (appropriately). I went with a fun and funky look which I think is so bright and cheery. As I said, I hope to see you join us at Tuesday Morning Sketches, and while you're at it, you might as well combine it with Happy Monday Challenge. Good Morning! 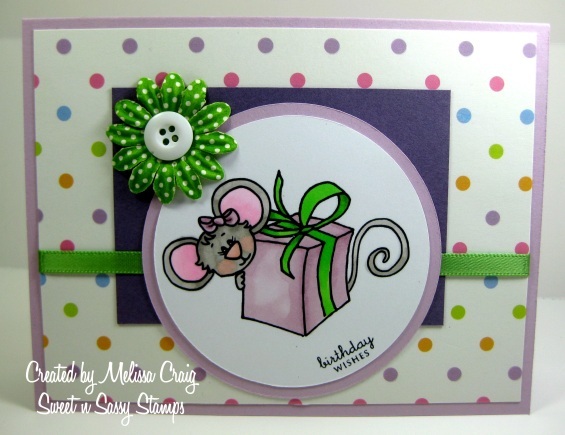 Welcome to the surprise Birthday Party Blog Hop for Korin!! 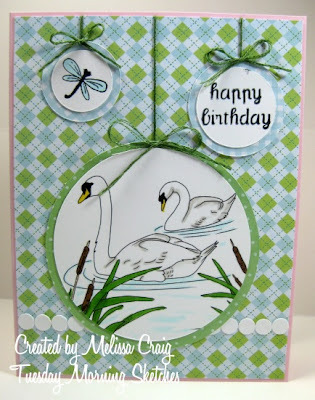 If you came by for a visit and you want to join in the fun blog hop, start at the Sweet n Sassy Blog and enjoy the birthday fun. Don't forget that if you spend $33 in the SNSS store, you will get a FREE stamp set. 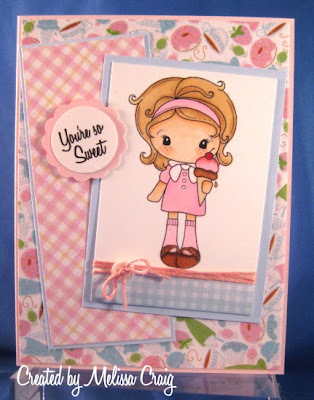 See my Friday's post for the picture of the adorable set. Dear Korin.... 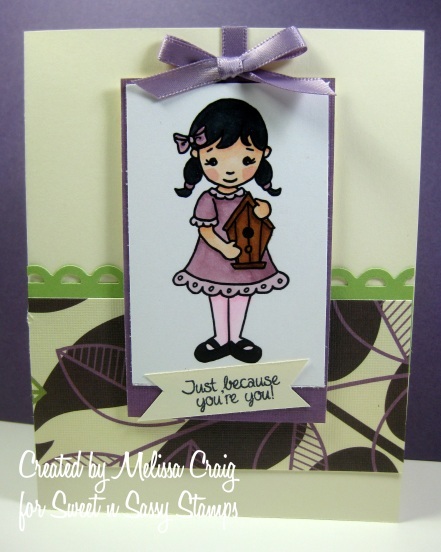 I just want to thank you for having given me this opportunity to design with your fabulous stamps! I wish you the most amazing birthday ever, may God continue to bless you with your family, friends and other loved ones and may you also have your wishes come true. Sending you hugs! I did use a great sketch from JUGS to inspire this card. I did have to flip the sketch a little to make it work with my image, but I am pleased with how it turned out. I hope you like it, too. Now your next stop on the blog hop is Amber Hillman's blog. Enjoy the hop! Good Morning! I hope you had a great weekend. I had a really good weekend. Friday nights are becoming my nights to get my grocery shopping done after Hollyanne gets out of dance class. Its really nice to get it out of the way because that's one less thing to do on Saturday. Saturday turned out to be an absolutely glorious and very impromptu. Levi had a friend over for little while and then our evening ended up at the Seminole County Fair which was so much fun! Isn't this image just darling?! I love this sweet little mouse although his little feet kinda gave me the heebie jeebies. 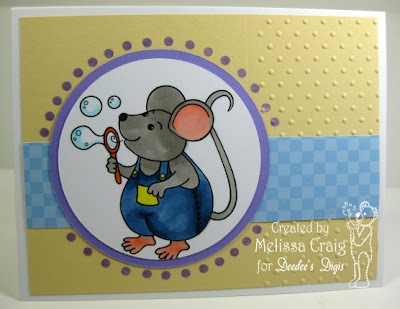 But after getting over coloring those toes, who couldn't love a little mouse blowing bubbles This image is called Greatest Joy is a very sweet $1 digi. I also used a super sweet sketch created by Jerusha Borden, who of course, you know as one of Crafting with Deedee's Digis DT members, but she's also a DT member for Let's Capture These Sketches - I loved this sketch! I hope you join us this week at Happy Monday. Enjoy your day! 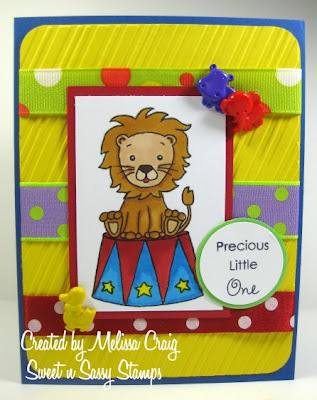 And now for my card, this features a couple of images from the new set Baby's Circus. I created this card using a great sketch from Crazy 4 Challenges. I don't usually do very well with primary colors but I think my card turned out really cute. OK - so head on over to shop at SNSS. You really can't pass up that deal.